Antinori is a venerable family wine company of 26 generations established in 1385, in times when Chianti was rustically made, probably in earthen ware fermenters like todays amphorae. The family’s new subterranean winery, Antinori nel Chianti Classico in Bargino, a ten year building odyssey I believe, works on gravity. All things with the pre-history wine styling in mind should. Our Italy wine tours take guests through the depths of Tuscany, offering introduction-only visits to family wineries, few open to the public. If you’d like to find out more about this exclusive guided experience for lovers of wine and food, you can call me direct on +61 427 705 391 or email denisew@uncorkedandcultivated.com.au. So inside this underground collossus there are logically layered caverns of processing and ageing rooms (wine, olive oil and vin santo), fittingly paved in terracotta tiling, 44,000 square metres of space I believe. It looks swish, bright in aspect, purposefully dull in lighting but cleverly the spots radiate light to keep visitors in the mood to view barrels, art works and light spaces. Our local-born guide and tasting host Eliza Trambusti relates that the Antinori family call this visitors’ haven their temple in good Roman God’s fashion. There is no air conditioning as architect Marco Casimonti from Archea Associates designed it to be eco friendly and wines store gently around 15 oC. Alberia Antinori, family company CEO speaks to our poured drinks, 18 metres below the ground, from Montalcino and Chianti Classico, places in this family’s blood for six centuries. Pian delle Vigne 2014, Rosso di Montalcino, 13%, (baby Brunello) belies the travellers’ expectations; the sangiovese grosso grape colour is not deep like Aussie shiraz, but has red in the heart of the glass, amber at the edges (the nail), some older ones go colourless. It’s about the taste: savoury and drying, no fruitiness here, its austere; waits for you to chew the salty, crunchy baked pizza bread, schiaciatta . It has long flavours, more dryness then it slips into softness. Again adjust your tasting technique from Oz shiraz to Localita Pian delle Vigne growing sangiovese grosso near the hill town of Montalcino my friends. Villa Antinori 2012, Chianti Classico Riserva, 12.5%, now unfiltered, has been made since 1928. It has the typicity of that sour citrus and almond aroma (how new world tasters peg sangiovese), traditional old large (2500 litre) barrel aging aromas including brett, then savoury and gripping tannin. It’s 10% cabernet sauvignon, and has 30 months cask age. Perfect with big, fat, al dente pappadelle splashed with wild boar ragu that drown the rabid effects of the natural grippy tannins of the wine. That’s Tuscany! Badia a Passignano 2011, Chianti Classico Gran Selezione, 14.5%, is the newer, next tier Chianti classification of longer matured elite 100% sangiovese, made in the nearby Tignanello estate regularly past visited by Uncorked travellers. Badia is an old monastery. The surrounds are Antinori sangiovese, 23 clones having been identified so far. Chianti first recognised itself in 1716 so the red grape gene pool here is quite diverse and capable of interesting wine. Wines only age 20 months in old Slavonian botti (barrels) then further by bottle for another 18 months or so. 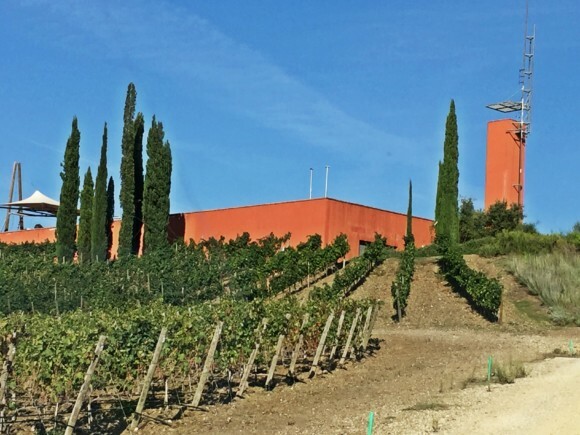 Look out also for a vinsanteria (small barrels that house the godly vin santo liquoroso white wine), hip cellar door tasting and purchase facilities, saying to tourists that this ancient Roman construction is the Antinori family re-invented. Above is a new vineyard of sangiovese, build on 20 metres of fill, struggling now but making progress towards a drinking contribution for future tourists. Expect wine soon. Also planted are the other traditional local red grapes: canaiolo, ciliegiolo, colorino, malvasia nera and mammolo. 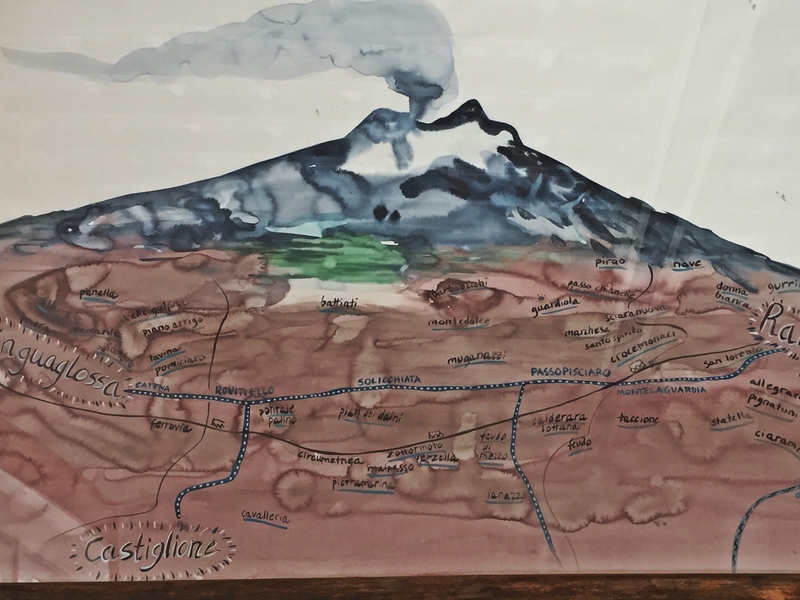 Mount Etna, Sicily’s spectacular volcano, is home to luxury wine growing. The mountain villages, known here as contrade, on its northern side, are excellent participants in the move towards fineness in red wine. You see you need an address from these villages: Passopisciaro, Randazzo, Castiglione di Sicilia, Linguaglossa or Solicchiata to be an Etnean player in the steady race for wine fame. This is nerello mascalese country. Wines from volcanic regions such as this high part of Sicily are on trend. They are excellent participants in the move towards fineness in red wine. Italian entrepreneur Andrea Franchetti bought an old run-down winery (about 200 yo), last used at the time in 1947, which he renovated in 2002, and now our tasting tour party is drinking Passopisciaro wines there. The house vineyard, at 800m up the mountain looks a treat, thousands of silver flashers repel birds; harvest is just starting, the chardonnay is off, having malo-lactic fermentation (in a warmed room) and the nerello mascalese is about to arrive to be crushed as 2016 red. Our Sicily wine tours take guests through the villages of Etna, offering introduction-only visits to wineries, only some open to the public. If you’d like to find out more about this exclusive guided experience for lovers of wine and food, you can call me direct on +61 427 705 391 or email denisew@uncorkedandcultivated.com.au. So we get the immediate impression the place is seen by local makers to be entirely different from production regions elsewhere on the island without black, rocky, knarled and moon-like landscapes. We hear the only white wine of Passo is chardonnay (an exceptional world example), and that there are red vineyard plantings at varying elevations (500-1000m). The higher you grow nerello the finer the wine (read that as more linear texture, less fullness), the later and harder to ripen and be fully ripe. At about 800m proper growth of red grapes is halted. Nerello in dialect means light black and wine colour is similar. We taste the contrada Rampante (700 m) and contrada Chiappemacine (500m) among the five; Porciara, Sciaranouva and Guardiola. Passobianco 2015 is the famed chardonnay, such a good drink, fermented and aged in big barrels (700-2000 litre), so little oak shows, lovely green, spearmint fruit, never fat, overt or stonefruit like, taut, trimmed to the bone of acidity, totally linear and mineralising in the mouth. A triumph. Harvested during 20 passes on sunny days when the diurnal swing can be 25 degrees. Chardonnays made this way are unusual in Australia though the technique is very sound. It minimises the influence of oak in today’s sommelier-led revolution where anything ‘apparently artifical’ does not go down. Released next February. Passorosso 2014 is the estate blend of wines not reserved for the single vineyard contrade bottlings (specific elevations too). This is good; lovely fresh aromatics of the mountain herbs; laurel, bay and a swish of black fruits, lithe, light bodied, long flavoured. The 100% nerello mascalese Passo is known for, seen as a first level wine, not an introductory wine. Passopisciaro R 2014 is a single contrada vineyard selection from Ramparte; the high elevation gives more linearity than body, and bright acidity keeps the taste humming along. Nice wine, understated, long liver, 7-15 years’ potential even at 15% alcohol. Passopisciaro C 2014 is the next tasted single vineyard wine from lower elevation, the Chiappemacine vineyard; more the mouthful of nerello showing more body, a direct result of richness derived from warmer ripening conditions in the same year. Great on black fruits. This is outstanding wine country but like any region where the benefits are great (outstanding wines), the growing process and more important, the ripening phase is very exacting to extract great nerello. Passopisciaro climb that ripening peak each harvest without extravagant winemaking. Via Torino in Barbaresco village is just a short 300-metre street. Yet it houses two powerhouse wineries in Produttori del Barbaresco at one end, and Gaja in the middle. 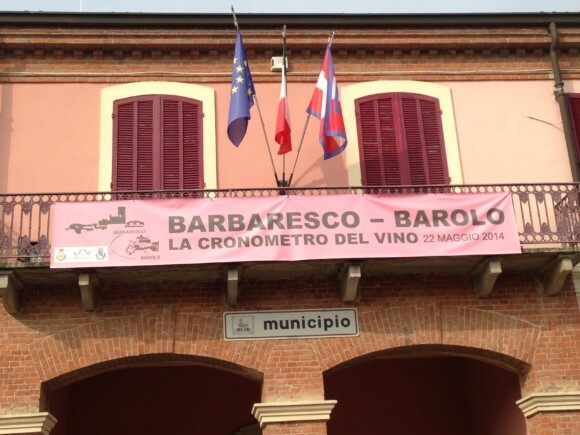 The Produttori de Barbaresco fascinates me with its successes. It controls 15% of the DOCG, and more single crus, nine, than any other owner in the three villages; Treiso, Nieve or Barbaresco, which constitute the wine denomination Barbaresco. Prices of this Italian wine category keep firming so let’s discover why. The Produttori del Barbaresco, a co-operative, consists of 54 member farmers, is successful and as Uncorked’s visit was on the first day of the 2016 harvest, we met a few of them as they lined their tractors in the street to deliver grapes. Our Italy wine tours take guests through the hills of Piedmont offering introduction-only visits to wineries, only some open to the public. If you’d like to find out more about this exclusive guided experience for lovers of wine and food, you can call me direct on +61 427 705 391 or email denisew@uncorkedandcultivated.com.au. Produttori growers on the charge to deliver nebbiolo – Day 1 harvest 2016 on Uncorked and Cultivated’s visit to Barbaresco village. But Barbaresco (the wine) and Produttori are all about a great drink, made from the thick skinned, leathery actually, nebbiolo grape. It’s the street hero. Drinkers in the know come from all over the world to see this wine town perched on the Barbaresco hill alongside its tower, built there since the Middle Ages to spy on visitors, and past insurgents. Note the tower on their label. Uncorked’s tours take you where the real taste action is, and on this day, we meet the Produttori board chief, and head winemaker, an affable, historically-knowledgeable Aldo Vacca. The reason for nebbiolo addiction is simple for this Master of Wine to digest. The flavours of this grape persist in your mouth, they are subtle and never simple or capable of drowning your food. Nebbiolo is light bodied, brisk in tannin and ever present in acidity. The palate can be extended, not dulled as overt wine fruit jam does from warmer climes, then lead you on to the enjoyment of savoury notes. Your dinner is not sweet but savoury after all? This is wine pairing. Juicy meats or charred beef or north African spice for example. Food savouriness + flavours which tread lightly. Yum. PDB Langhe Nebbiolo 2014 Always the budget option to get into nebbiolo for your first time, an easy drink made from younger vines in grower vineyards. Sold earlier as a non-aging style. PDB Barbaresco 2013 The new vintage just out for sale now. The real deal wine of the Produttori, a blend of all growers’ grapes not including single vineyard crus (the nine). PDB Barbaresco 2012 The vintage just gone, very lithe and flavoursome, capable of 5-7 years easy aging to plateau its drinking. PDB Barbaresco 2011 A vintage showing some aged character so well advanced now. A good example for the visitors to “get” how nebbiolo projects as it ages. PDB Rabaja Riserva 2009 These are regarded as the reserves of Produttori, and they overlap as families’ single vineyard crus, basically the best expression of the grape in a range of terroirs that occur, and are captured from the three village expanse which is DOCG Barbaresco. Grower families Antona, Arossa, Casetta, Lembo, Lignana, Manzone, Rocca, Vacca, Vezza are in this blend this year. The Produttori takes only nebbiolo grapes – no barbera, dolcetto or pelaverga, or no white variety. Just the top of the pinnacle red variety which keeps the quality and wine purity. Commendable. DOCG – is the physical and hence geographical boundary of Barbaresco wine producers; production must lie inside or one cannot use the name; Denominazione di Origine Controllata e Garantita. Renzo Piano has no trouble putting a spell on my thoughts. A moment of reflection brings two words; Tuscan orange and green, colours of the winery at Rocca di Frassinello, Genoa-born Renzo’s architectural invention. Our Italy wine tours take guests through the depths of Tuscany, offering introduction-only visits to wineries, some open to the public. If you’d like to find out more about this exclusive guided experience for lovers of wine and food, you can call me direct on +61 427 705 391 or email denisew@uncorkedandcultivated.com.au. There it is; sliced, carved and integrated into a 60 hectare Maremma vineyard landscape 50 km north on the Gavorrano coast of the Tuscan town of Grosetto. 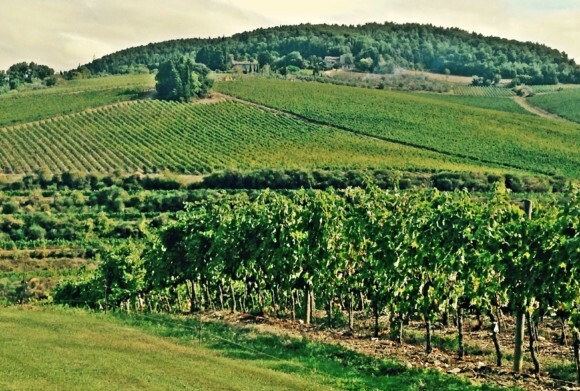 Planting from 1996 to 2004 has included the staple local grape sangiovese transported from owner’s Paolo Panerai Chianti Classico Castellina property of foundation plants. Added is cabernet sauvignon, merlot and syrah, and recently vermentino, now the goto white drink of all Tuscany. However Rocca were not the first growing grapes here on the old tin mining, grazing and once malaria-ridden country. The Etruscians were pre-Roman, as recent small necropolis excavations have revealed. But maybe not growing sangiovese then? One day we will know. Rocca through its winemakers, and grape whisperers have trodden lightly with the mix. This is about respect for local sangiovese, a tough variety, hard to get excellent responses, is given a high priority to grow best, show its naturally grippy tannin to ripen to the top of that expected. Work hard, ripen. So as in all Tuscany it is a late finisher, cranky but fulfilling to get there, causing some lost bunches along the way. That’s cool if a few end up on the ground. What would you drink from Rocca? Well sangiovese and international variety blends with increasing levels of oak time, fruit strips and time investment. This is in common with a Bordeaux Chateau approach of scaling price and perceived quality – Rocca is a half share venture with Domaines Rothschild in Pauillac. That’s the labelling. All wines are DOC Maremma Toscana. Entry stage is the unwooded (cement tank aged, an increasing trend) Poggio alla Guardia 2014; 50% cabernet sauvignon, 30% sangiovese, 20% merlot, nice and rounded, fruity, soft, easy, drink early and don’t concentrate too hard; that’s the intention. Smash it down. The Ornello 2013 is drinking and softening very well; created from 2006 to take advantage of what the syrah grown here can provide for your drink. Try 40% sangiovese, 20% cabernet, 20% merlot, 20% syrah to make a successful rounded wine; look for the chocolate such is the great ripeness. Le Sughere di Frassinello 2013 is the deputy wine to the top property wine. Think 50% sangiovese, 25% cabernet, 25% merlot; a terrific wine to handle some aging time though long is not needed; cedary, red-fruited, silky tannins and long on taste. Shaped by some master sangiovese blenders here. Rocca di Frassinello 2013 is on song now, very deep colour alongside its brothers, so expect little change unless age kicks in 3-5 years time. It is well composed; layered, cherry fruit, from 65% sangiovese, 25% cabernet, 10% merlot, some leafiness, refreshing is the brightness of the fruit, just outstanding, nicely wound tannin from 18 months in barrel; just a super Maremma wine. Needs you to drink one. Tuscany is a battleground for grand wines called Super Tuscans since the 90s. By old definition all the past wines just reviewed are Super Tuscan as sangiovese-international variety blends. So Super Super Tuscan is a greater category now. One perverse result is Baffonero 2013; a creation since 2007 made totally of merlot, grown extremely and heavily emphasised in detailed winemaking which could be repeated from Bordeaux’s hyper-expensive Pomerol merlots. The leader in Tuscany is Ornellaia’s Massetto, so here is Rocca’s contender. Baffonero is very dense, deliberately concentrated by its viticulture, extreme, layers of fruits, coffee and cacao, new oak sweetness, powdery tannins, many but soft and round. That’s a deep play on merlot. No doubt the Etruscians did not make merlot, just early versions of sangiovese which lasted a few days.